» Podcasts » Green Light Red Light » Archive by Category "Episodes"
Green Light Red Light returns with an exciting cross-over event! The crew from 2 Guys, a Girl, and a Goblin got together to talk about the 2000 movie, Dungeons & Dragons, starring the underutilized Jeremy Irons, the uninspiring Justin Whalin, and the miscast Marlon Wayans. The full movie is available on YouTube, or you can purchase or rent it from Amazon. GLRL Episode 7: “Dune” (1984) with Marc R.
If you’ve ever wondered what would happen if you gave David Lynch a large budget and asked him to direct a Sci-Fi epic co-starring a mostly naked Sting, wonder no longer! In 1984, Lynch directed Dune, a movie that took over a decade, and several aborted attempts, to produce. Based on the classic Frank Herbert penned Sci-Fi novel of the same name, Dune turned out to be such a mess, Lynch has disowned it. 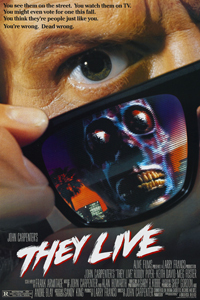 So, of course, we had to watch it, joined by my improv buddy Marc R. Sorry in advance, and remember: Walk without rhythm, and you won’t attract the worm! Dune is available from Amazon on Blu-Ray, DVD, and Amazon Instant Video. If you’ve ever wondered what would happen if you gave David Lynch a large budget and asked him to direct a Sci-Fi epic co-starring a mostly naked Sting, wonder no longer! 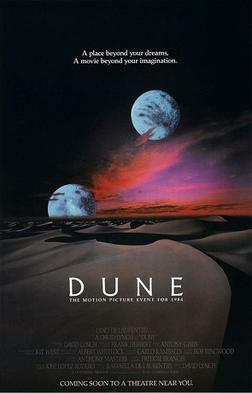 In 1984, Lynch directed Dune, a movie that took over a decade, and several aborted attempts, to produce. Based on the classic Frank Herbert penned Sci-Fi novel of the same name, Dune turned out to be such a mess, Lynch has disowned it. So, of course, we had to watch it. Sorry in advance.